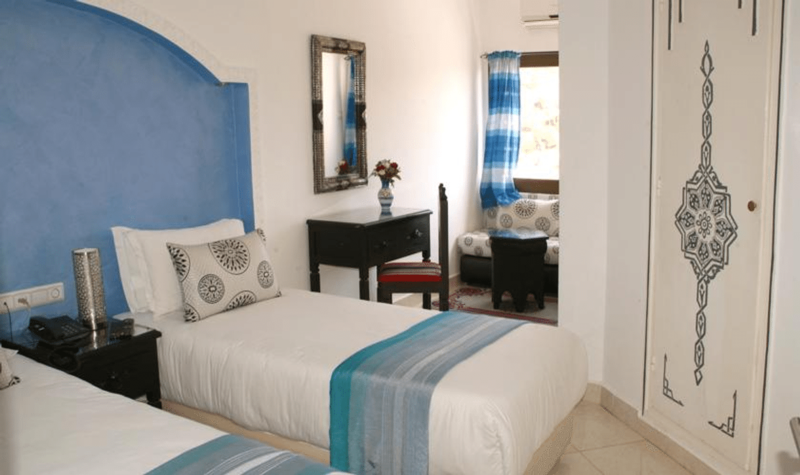 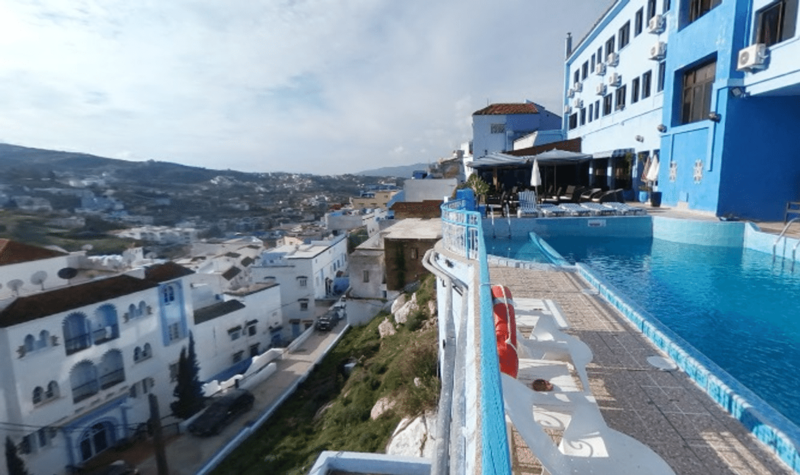 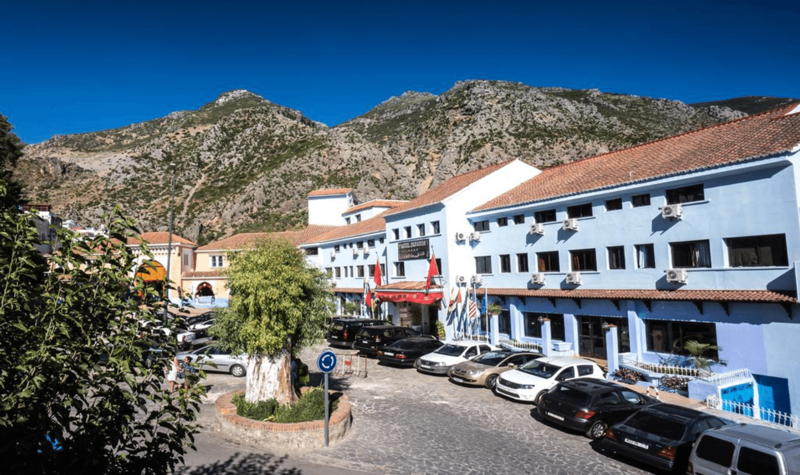 Hotel Parador is situated in the hart of the old city of Chefchaouen - the blue city. 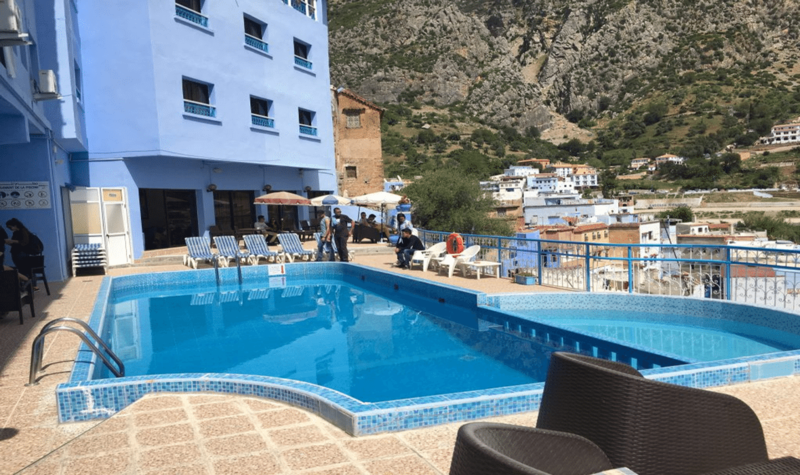 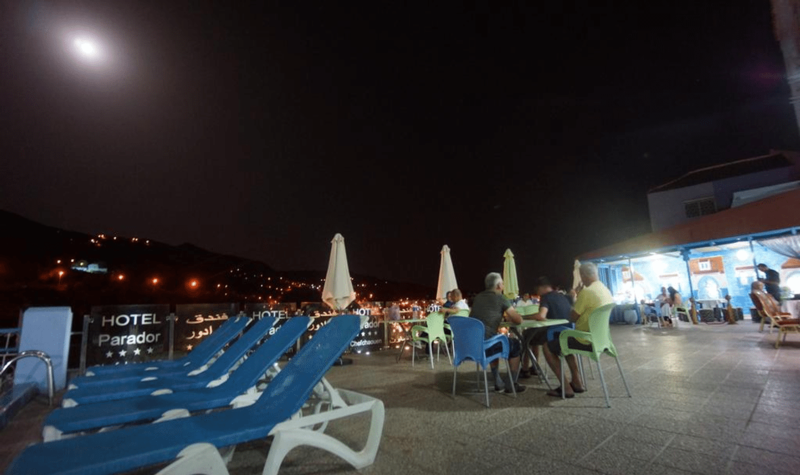 The hotel is only metres from the center of the city and just a 2-minute walk to the Kasbah and a 5-minute walk to Ras Elma Waterfall. 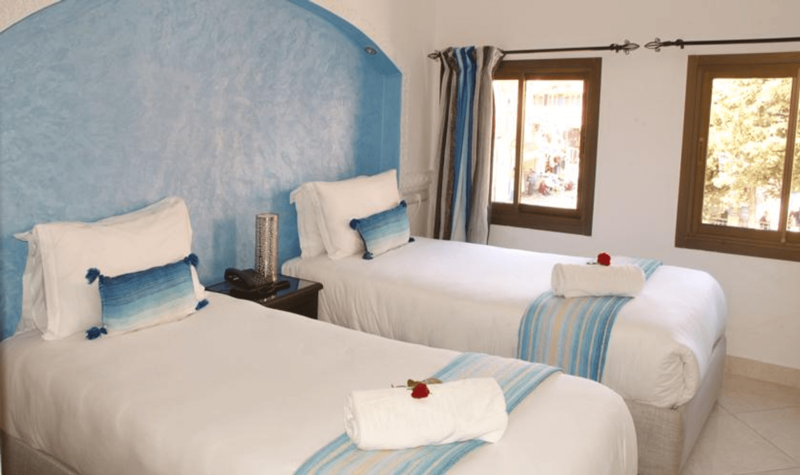 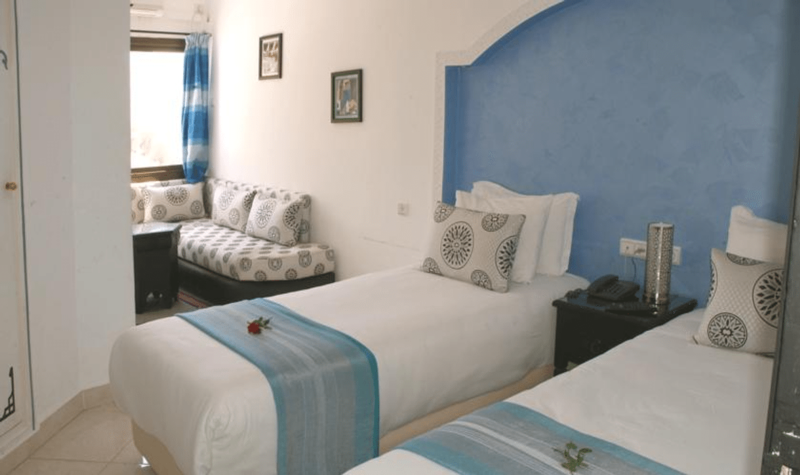 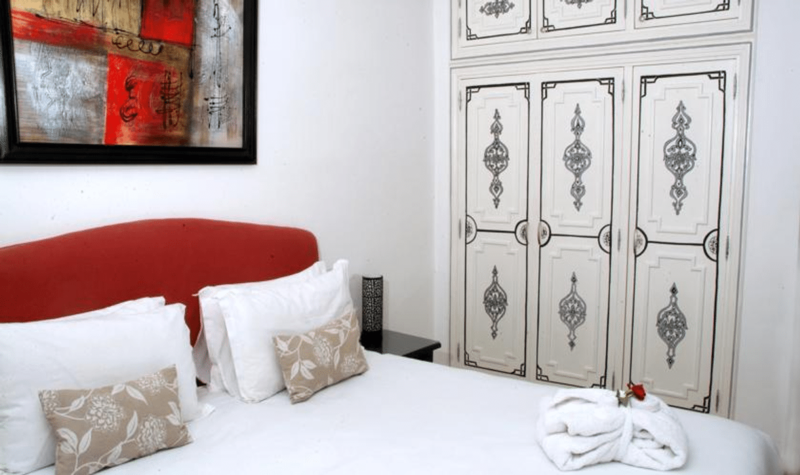 The air-conditioned rooms at Hotel Parador are simply decorated and feature a flat-screen TV with satellite channels and a private bathroom with a shower. 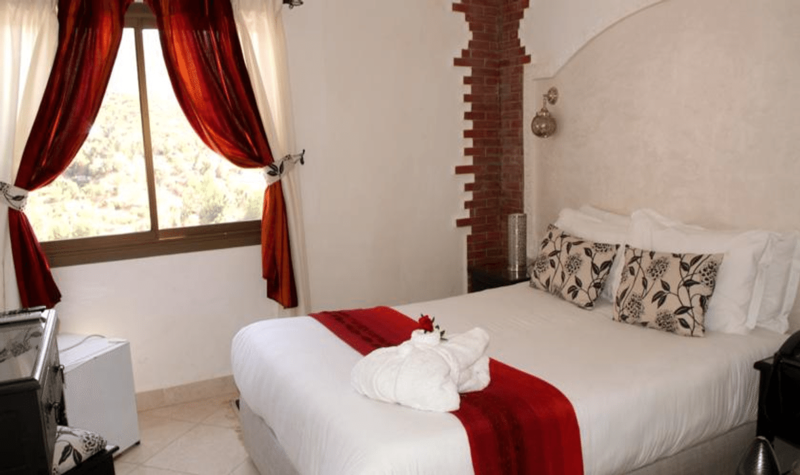 The rooms also offer mountain views and views of the old Medina. 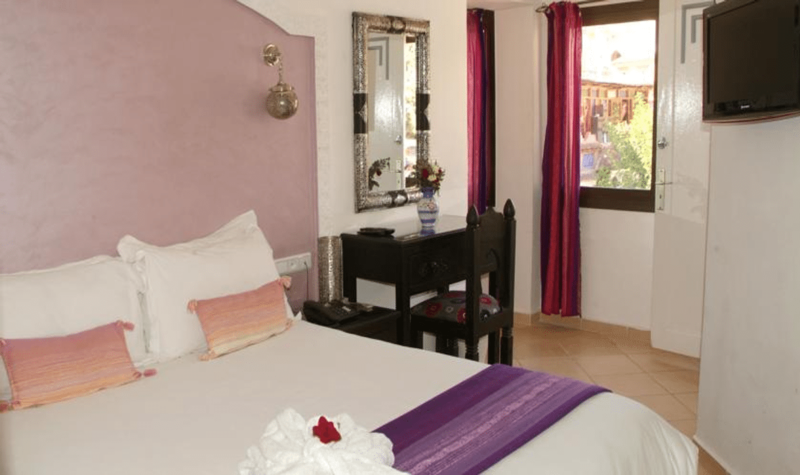 The restaurant at Hotel Parador serves breakfast buffet, lunch and diner (Moroccan and international cuisine). 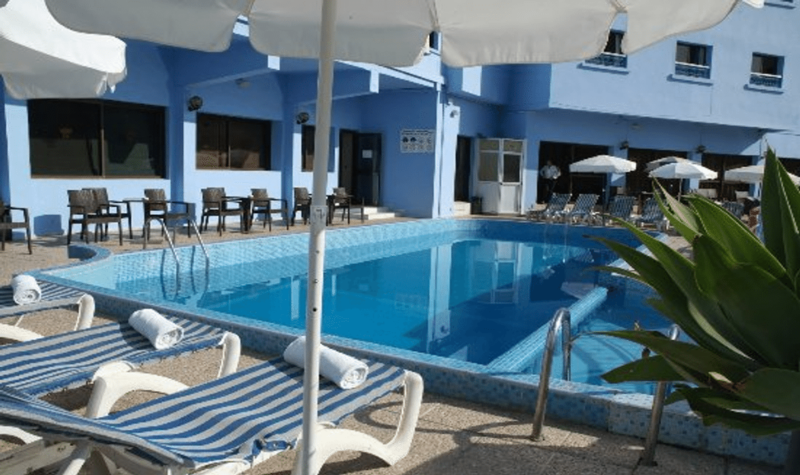 Guests can relax by the outdoor swimming pool on the sunbeds on the terrace.